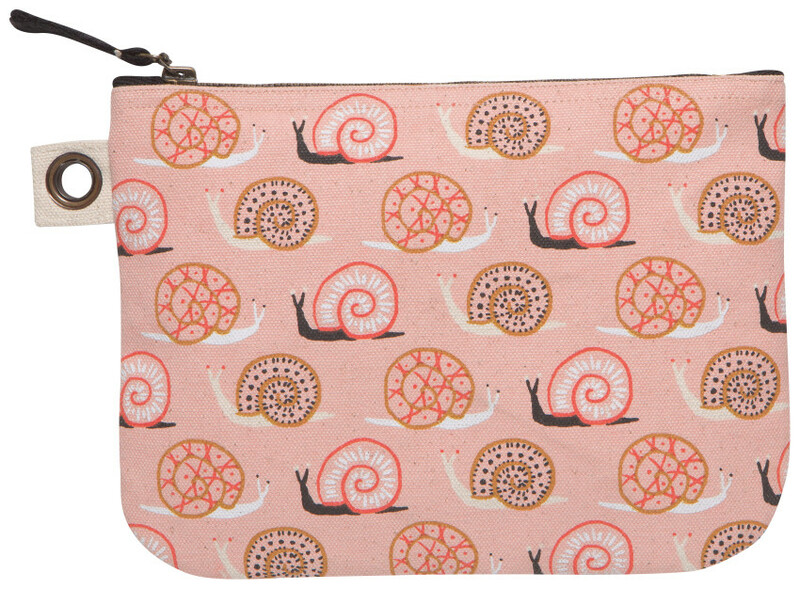 A large zipper pouch made from sturdy 100% cotton is perfect for storing drawing supplies, small accessories, travel essentials and more. A metallic zipper keeps contents secure, while a grommet tab adds convenience. 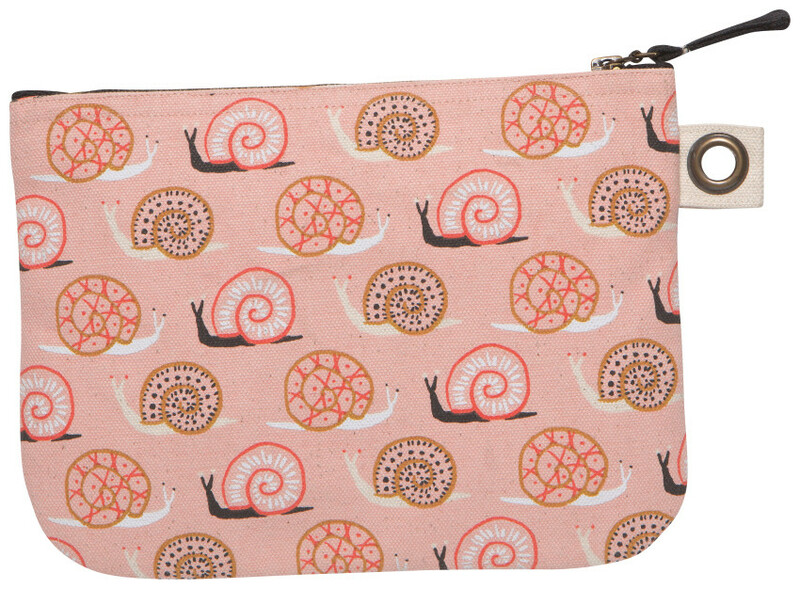 Snails display swirling patterns, against a soft palette of warm hues.